Thirty-five years ago, I studied water treatment systems in college, and I’ve been captivated ever since. I feel fortunate to work in a field where I feel like I make a difference every single day. 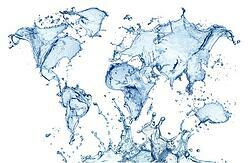 March 22 is World Water Day. For a water builder, this is an annual reminder for all of us to be mindful of our most precious resource, specifically its lifecycle and how we can continue to protect and enhance water sources and advance the technologies for treatment and reuse of wastewater. Through my 35 years in the water industry, I have accumulated countless stories, and some surprising discoveries. Recovering dentures at a wastewater treatment facility, for instance, is a tale better told in person. However, success and improvement stories have begun to take the place of the tall tales, and many things have improved exponentially. The 2017 World Water Day theme is wastewater. Today is about taking action. What can we do to reduce and reuse wastewater? To that end, our technology has evolved, our regulations have steered facilities toward lowering their environmental footprints, our delivery method options have increased, and project teams have developed into collaborative problem solvers to deliver the best project for the owner, the community, and the environment. It’s no secret that technology has improved the way a wastewater treatment facility is designed and constructed. In the past, it took numerous operators to run a facility. Now, one person can do the same amount of work remotely from a computer. In addition, Building Information Modeling (BIM), cloud-based plan review, and remote communication are all available for use to collaborate on constructability solutions with water experts all over the world. Over the past few decades, the Clean Water Act and National Pollutant Discharge Elimination System permits moved water operations toward safer environmental regulations, increased public health, and wastewater reuse. For instance, EPA has a Biosolids Rule, which introduced solutions toward recycling nutrient-rich wastewater sewage. Many wastewater treatment facilities have rehabilitated or upgraded their infrastructure to turn their sewage into revenue producing solutions. Remember those dentures I mentioned… trash to treasure?! Design-delivery has become the method of choice for all types and scopes of water and wastewater treatment projects, from small improvements to complex operations. Also defined as collaborative delivery, these methods are an overall improvement on the design and construction experience for all project members. We’ve seen the owner, the engineer, and the contractor collaborate early in design to develop the best solutions for water infrastructure projects. With the open-book delivery methods used in water and wastewater treatment projects, relationships between owners, engineers, and contractors have shifted from competing to collaborating. We still have much to achieve in our water and wastewater infrastructure work. Nearly every state expects water shortages within the next 10 years. Capital investment needs for the nation’s wastewater and stormwater systems are estimated to total $298 billion over the next 20 years. And one in nine people worldwide still don’t have access to clean water. To continue to be part of the solution, we must plant the seeds of action and change now for future generations. As an industry, we need to bridge the knowledge and awareness gap for our communities between where our water comes from and where it goes after we use it. We can achieve this through earlier education, facility tours, and community outreach. If we get people involved early, more people will feel accountable for this precious resource, and our children may begin to see themselves as future water treatment builders and engineers.